iPad Stylus – Purchase or Macgyver it? SGP Kuel H10 Stylus Pen – Smaller tipped stylus pen compared to most of the others such as the Pogo. The pen has a strap that plugs into the audio jack making it convenient to locate. Compatible with iPad/iPod. ($12.99) . 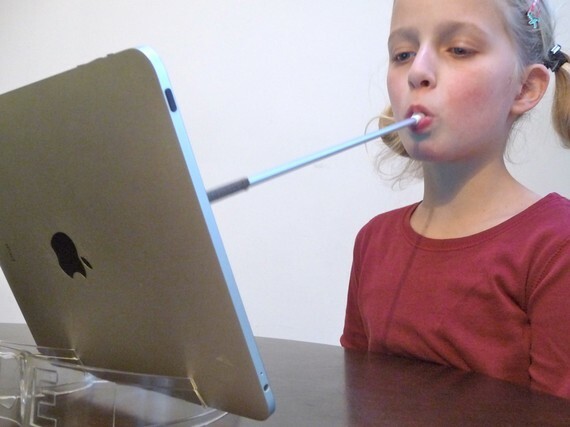 Here is a Mouthstick stylus! How would I adapt an existing Kensington Stylus for small hand use? What kind of griper might I try to use (The Grip?)? If I made one what one would I choose to make? What would be your choice, make or buy? And which one? This entry was posted in Fine Motor Development, iPad, iPod, iPod/iPad Accessory, Occupational Therapy, Special education and tagged iPad, iPad accessories, iPod, occupational therapy, special education, Stylus. Bookmark the permalink. 3 Responses to iPad Stylus – Purchase or Macgyver it? I too tried a stylus and found it to be useless. It was not accurate and difficult to use. Granted I wanted it for drawing on the iPad but it was just easier to use my fingertip still. I have not explored any of these higher priced stylus’ for fear that they won’t work that great either. I have to explore some of the make your own ideas – I love to do that if possible. Regarding the transition piece, I think a stylus that best mimics what the child will be writing with would be best. For example, if a child is using a golf sized pencil to write with try to make your own stylus that is shorter. I found the stylus to work okay for letter tracing apps if you held it more upright than a regular writing utensil (which as I type I realize that could promote carry over of an inefficient grasp on the writing tool). Playing devil’s advocate though, we have children practice many forms of kinesthetic writing and assume it will carry over so why can’t you just transition directly to writing if a stylus is not working? 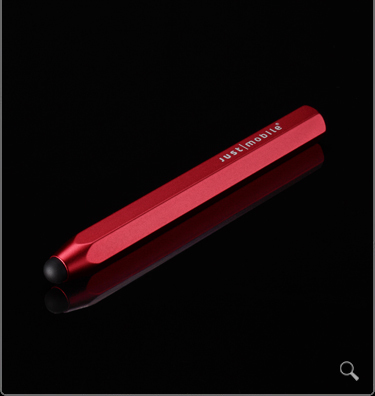 Check out the styluses at Stylus-R-Us called the terminator. I would really like to try this out – it looks like a fine tip that could be used with a pen. Rather expensive though! Check out the Terminator on the Stylus-R-Us website, might that be a solution for an appropriate grasp pattern on a stylus? It might need a pencil grasp on it for a larger grasping surface. 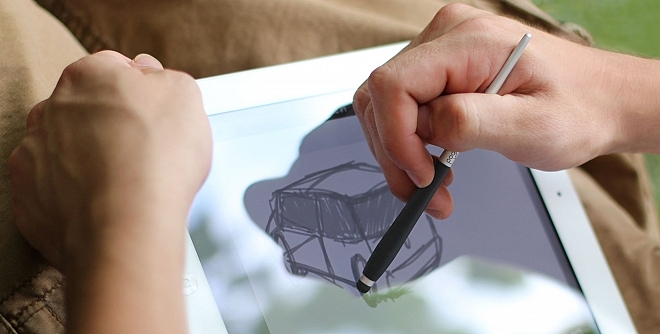 The video showed a marker like stylus which I did not see in their gallery of styluses, that might be appropriate?? I appreciate your devils advocacy and great OT insight on the finer points of applying the use of these devices. Thank you for taking the time to comment! We all benefit from your ideas!